Prize pool may be adjusted depending on number of viable entries. Time to get creative again! It's your chance to win some free Platinum! 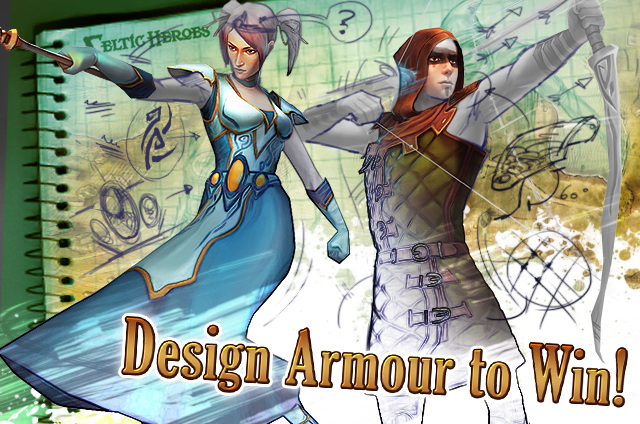 Design a Celtic Heroes armour set - yes it's drawing time! Taking inspiration from your own hero and the world of Celtic Heroes, what would you design? Grab your stationery and some colour, now's your chance to show us! Those winners who emailed their entries in will be emailed, those who entered via forum will be pm'd. If you'd like your reward faster please send across Character and world details via pm! Congratulations to the winners, and thanks very much to all who entered, even the entries not mentioned were great and the team did have a hard time deciding. You've all got great talent and we were very impressed. On a side note: We do have another competition coming soon so please stay tuned! Time to break out my pen and pencil! 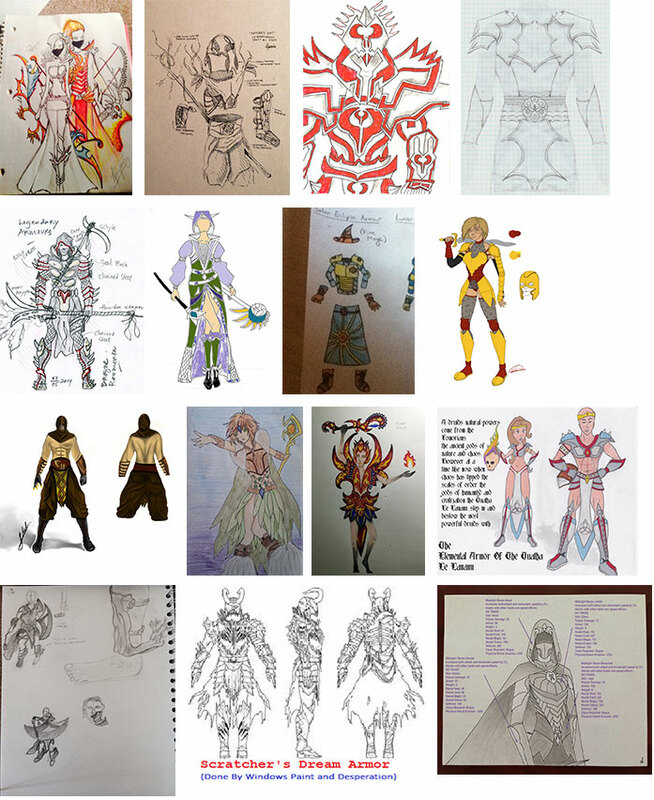 I once drew a set of mage armour a while ago... Do old drawings count? If so - I will look for this one. Does the armor have to be of a specific class? Or must we do all classes? 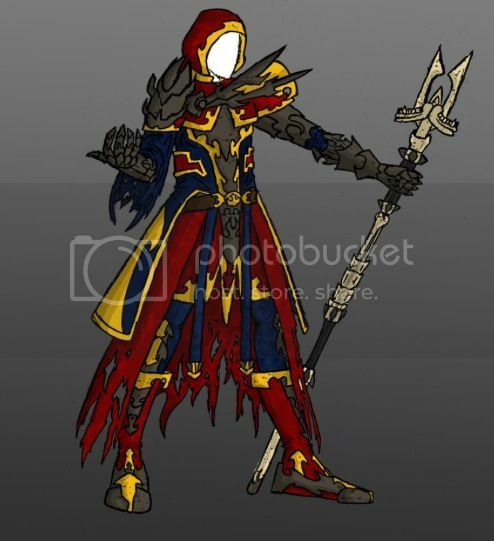 PhantomLink wrote: Does the armor have to be of a specific class? Or must we do all classes? Any class drawing is fine. I will enter this, can't upload a picture on this thread (Pretty weird). I did mail you, hope its good! tried on computer and on iphone but i cant upload my draw in the admin competition post (i havent the upload file possibility)so i will do it here. I made also one,on the base of the ranger dragonlord armor. Im a Spearman so i need more defence than a bowman thats why my character got an heavier armor with more protection and mails. I got a offhand gauntlet from shop with 300 dexterity. There is also a choice with your dl color, you can change it with Mark the tailor in white,black,yellow,blue,red for 500k. I wear my clan flag on my spear (personalizable weapon) Chieftain can choose 2 colors for his flag. There is also my clan first color on my armor. I know i havent Dave Allsop lvl but im not a professional as OTM designers.